Part of the fun of pop music is connecting a song with the person who wrote it. When a particular song speaks to your own experience — a sad song you play on repeat during a breakup, or that high-energy track that always starts your workout — it’s tempting to assume that you’re sharing the emotional experience with the songwriter, as if you’re feeling the same things at the same time. That’s why so many interviewers ask musicians about the origins of their most famous works — we’re secretly curious about what was inside of them that generated a song that resonates with us, a total stranger. We think the song is them. But while plenty of classic pop and rock songs carry whiffs of autobiography, they’re actually layered with fictional elements. “Piano Man,” for instance, is a fictionalized version of Billy Joel’s life in the early 1970s as a struggling musician. The characters in Bruce Springsteen’s breakthrough 1975 album Born to Run were invented, but the underlying experiences he was writing about — disillusionment, a fear of not living up to his potential — were so painfully candid that he feared releasing the record. Modern-day pop stars like Taylor Swift still toy with this question of autobiography, but lately, in the world of indie rock, the line between fiction and reality has been erased entirely. These musicians don’t want you wondering what’s invented and what really happened — they’re taking their lives and putting them directly into the music. Several of these recent records have been superb, the intimacy of the lyrics matching the rawness of the subject matter. In 2014, Mark Kozelek, who records as Sun Kil Moon, released Benji, which laid bare his feelings about his mom (“I Can’t Live Without My Mother’s Love”); his dad (“I Love My Dad”); his jealousy about his more-famous friend, Death Cab for Cutie frontman Ben Gibbard (“Ben’s My Friend”); and the odd deaths that seem to keep happening in his family (“Carissa”). The point of albums like A Crow, of course, is to prove that, in fact, indie musicians can make art out of intensely personal subject matter. But now, the most staunchly anti-confessional songwriter has gotten into the act. Maybe that’s why his album is the best of the bunch. For fans of Merritt, that disconnect between fiction and reality is a key aspect of his appeal. With a sardonic sense of humor paired with a gift for melodic, poignant music, he always gets to have it both ways, producing seemingly heartfelt songs about breakups that eschew the earnestness that can make more traditional “confessional” songwriters come across as precious in their over-sharing. Even his voice, a rich baritone, plays into this juxtaposition: What he’s emoting sounds genuine, but he sings in such a low register that his deadpan delivery can come across as tongue-in-cheek, mocking and honoring the song’s sentiment simultaneously. He can make you cry and make you laugh while always reminding you that a song doesn’t have to be “real” to feel real. That’s one reason why it stands out from the recent spate of confessional indie-rock records. Another: It’s not nearly as haunted by tragedy as those others are — although bad boyfriends, 9/11, Merritt’s distant father and other woes do stop by to darken the mood. But most importantly, 50 Song Memoir has a healthy distance from its tales to create a more well-rounded emotional experience. 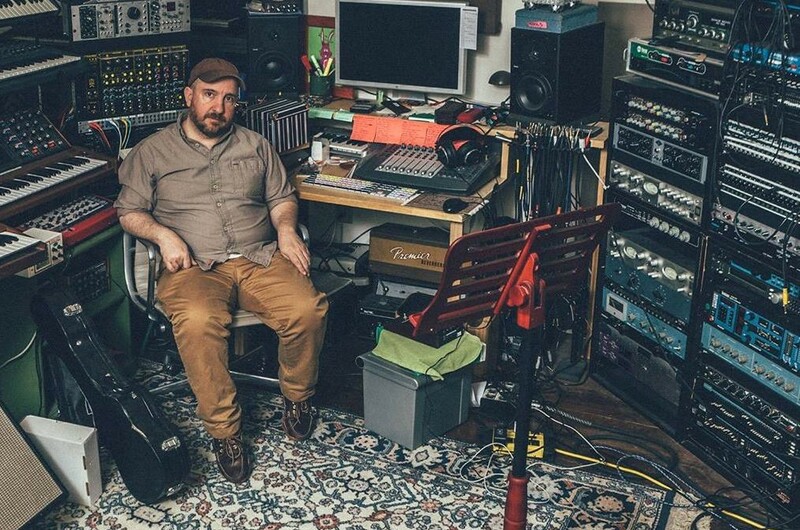 Of course, an album like A Crow Looked at Me isn’t meant to have such perspective — its impact comes from its you-are-there intimacy; this new Magnetic Fields record, however, counteracts the current indie-rock trend to treat spare immediacy as the most honest form of artistic expression. Merritt’s style can be minimalistic, too, but because he appreciates melody and showmanship — the guy’s written operas and the off-Broadway musical adaptation of the Neil Gaiman book Coraline — even his starker compositions have more flair than the less-is-more aesthetic displayed by his peers. Nor does he come at his autobiography in straight confessional terms. For instance, the song “How to Play the Synthesizer” recounts Merritt’s introduction to the instrument, but it’s entirely about the fun tricks you can do with an electronic keyboard. When he gets political, he does it from unexpected angles — e.g., the vaguely psychedelic “They’re Killing Children Over There,” which documents the time that he saw Jefferson Airplane in concert when he was a little boy in the 1970s, not sure why singer Grace Slick was admonishing the crowd that “they’re killing children over there.” And when he addresses 9/11, it’s in the form of “Have You Seen It in the Snow?,” a tear-jerking ballad about the fact that, despite all its faults, New York City is a beautiful place. A longtime New Yorker, Merritt never directly references 9/11, but the underlying inspiration — and his broken heart — is obvious. Though plenty of tracks on 50 Song Memoir stand out, the flow from one song to the next — and one year to the next — gives the album a cumulative power, like the thrill you get reading a book you can’t put down. The Merritt we meet in 50 Song Memoir comes across as a sweet boy who deals with loneliness, has a rich imagination, realizes he’s gay, deals with illnesses like chronic fatigue and hyperacusis, falls in love, gets dumped, becomes mildly famous (thanks to the critical acclaim of 69 Love Songs), moves to L.A., moves back to New York, continues to pine for an ex and starts to realize that parts of his younger life aren’t as easy to remember as they used to be. There’s no narrative through-line, like with most lives, but the suspense and drama come from discovering what happens to Merritt each new year. Is he happy? Sad? Reflective? And is something happening in the world — such as 9/11 or the rise of AIDS — affecting him directly? This vested interest in Merritt’s well-being isn’t an uncommon feeling when listening to many of these recent indie-rock albums that reveal so much about their creators. Turn on Skeleton Tree and it’s impossible not to worry about a grieving father burying his child. A Crow Looked at Me is so skeletal and unpolished that it feels like Elverum is in the room, trying to keep from losing it. 50 Song Memoir doesn’t grab you by the lapels so tightly and desperately, but don’t assume that means it’s not as honest or truthful. If anything, there’s something brave about hearing a songwriter who’s gone through his own turmoil while remaining resilient as he reaches the big 5–0. 50 Song Memoir doesn’t negate those other brutally personal indie-rock albums that have come our way. But it does suggest other ways to think of “personal” music. Sometimes it’s very sad; other times, however, it can be incredibly funny and hopeful. It’s merely a question of what kind of ending you decide to give it.